Farmers are being warned by sheep experts to act now to protect vulnerable lambs against Nematodirus. The vast majority of cases occur in the spring putting young lambs at great risk. However, changing weather patterns mean that this particularly nasty disease can now also be seen in the autumn. 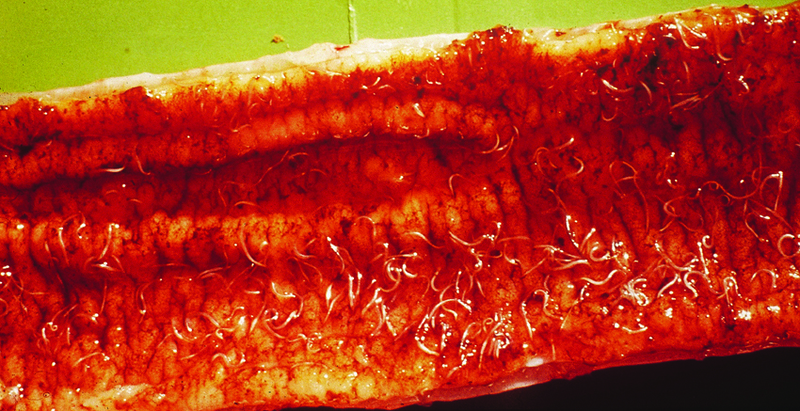 The disease is caused by the immature stages of the worm Nematodirus battus, which can strike very quickly and with little warning. In a recent study, common gastrointestinal parasites were found to cost the UK sheep industry £84 million per year1. Farmers need to be prepared and seek advice if they think their lambs might be at risk of nematodirus. Nematodirus battus also has a slower, more extended life-cycle than most worms, and eggs deposited during one spring or summer generally do not hatch until the following spring. This allows infection to pass from a lamb crop in one year to the lambs born the following year, again, increasing the risk of mass hatchings. “For this reason, if it is possible, moving lambs to fields that were not grazed by lambs in the spring and summer of the previous year will significantly reduce their risk of contracting clinical Nematodirus,” adds Mr Colston. With the limited options for stock and pasture rotation using the correct choice of wormer, containing benzimidazole a group1 white drench, is vital for successful lamb production in the face of Nematodirus. Coccidia and nematodirus are both gut parasites affecting young lambs. Symptoms are similar, but treatment is not, so diagnosis must be early and accurate. • Lambs can have nematodirus and coccidiosis at the same time. • Diagnose coccidiosis by identifying oocysts in dung. 1.Costs of the major endemic diseases of sheep in Great Britain and the potential benefits of reduction in disease impact – Nieuwhof, G.J, Bishop, S.C. Meat and Livestock Commission.